Like many Games Workshop tabletop games, Talisman strayed a little too close to Dungeons and Dragons to ever get past the censorship of my overly-paranoid parents, who presumed causation between fantasy RPGs and suicide. Only in the back nine of high school did I get my first taste of Talisman. In the years since then, I’ve always admired how Talisman’s design hinged upon random chance while still facilitating a strategic experience. More recently, I’ve wished for a Talisman PC adaptation, if only to ameliorate the fact that Talisman is such a real estate heavy game once a few fourth edition expansions come into play. Enter Nomad Games and the utterly fantastic Talisman Digital Edition. There is a certain secret sauce to making a good tabletop to digital adaptation. I like to use Blood Bowl as my litmus test. That particular PC game replicates the front end of its parent tabletop experience, but doesn’t automate the back end to the point of alienating the player. Likewise, Talisman DE does a fantastic job of duplicating the Talisman aesthetic while maintaining the “dear god I need to make this throw,” feeling that defines Talisman’s game play. To that end, Nomad Games made the brilliant decision to automate the various chits and tokens of Talisman while leaving the dice – or a virtual simulacra thereof – in the hands of the players. Thus it has come to pass that I’ve literally screamed at my monitor after four consecutive failures to throw greater than 3 on a 1D6 while attempting to cast the command spell and win the game. Make no mistake, when that experience is back ended, as it was in the recent digital version of Space Hulk, the essential tabletop magic is suffers. Talisman DE is also unique among the GW tabletop games turned digital in that it still looks and plays like a tabletop game. There are no animated monks dashing across rendered forests to do Battle Chess style combat with dragons. Instead, static pieces move around a two-dimensional board. With a click of the mouse, a player can look at another player’s character sheet, followers, or equipment. Combat is an elegant comparison of vital statistics and dice rolls. All of these mechanics preserve the artwork from the original tabletop game (assuming you care about that sort of thing, which you should) as well as a sense of engagement between the players. 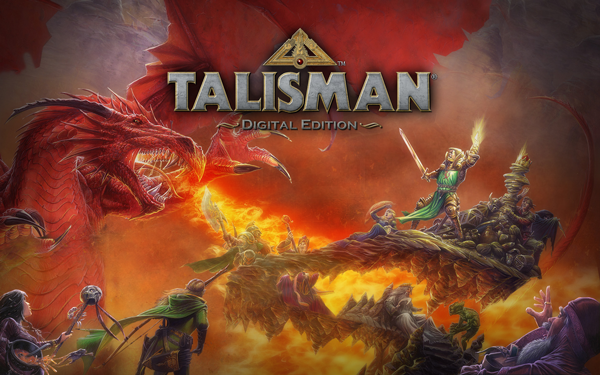 To put it another way, most tabletop to PC/console adaptations are about adding video game sensibilities to tabletop games; Talisman DE is about bringing the tabletop experience to the new mediums. For the uninitiated, Talisman’s core game play offers an interesting blend of PvP and PvE. After picking one of sixteen character classes, players must make their way through the game’s three regions before coming to their ultimate goal, the Crown of Control. Reaching the Crown requires a sense of timing, as well as levelled-up character. Push for the crown too early, and you’ll perish in the attempt. Wait too long and risk other players beating you to the punch. As players contend with surly mystics and randomly spawning monsters, so too must they manage each other. Dice rolling prevents wholesale ganking, but PvP battles add an interesting diplomatic and tactical twist to the game; do you risk alienating the group to steal a powerful weapon from a lone rival, or leave your fate to chance? With this very faithful adaptation of Talisman comes a few of Talisman’s potential sins. I say potential out of fairness for the fact that I am a fan of the game, and these things don’t bother me. However, someone who is contemplating Talisman DE as a point of entry into the franchise – and make no mistake, this game is the best and least expensive on-ramp to the world of Talisman – should know what they are getting into. First, Talisman is not a one-hour game. Even with a digital timer keeping pace, a game of Talisman can easily stretch into a two or even three-hour affair. Considering that Nomad Games has nine, count ’em nine, expansions planned for Talisman – all of which are based on existing tabletop expansions and all of which layer into the main game – Talisman DE promises to become an even more time intensive affair. Second, strategy and chance are equal partners in Talisman. If you don’t like dice determining your fate, then this is not a game for you. Third, when the fates smile on a player, it is possible for said player to start running away with the game. There are in-game mechanisms to compensate for this, but they too are equally wedded to chance and strategy. In the short term, it can be frustrating to the point of table flipping, but in the long run the odds balance things out. In terms of Talisman DE’s interface, I’d say that the game was good when it launched and has only got better since its first update. My only initial complaint was that it seemed a little click heavy. The first update corrected that problem and offered up some additional free content to boot. As for the game’s learning curve, Talisman DE opts for in-game guidance rather than an overt tutorial. This decision allows first-time players to learn by doing. It’s a smart move that lets newbies and veterans alike jump right into the game. On the negative side, Talisman’s AI can be a little erratic. Generally, the AI is competent, but there are moments when it makes incredibly stupid decisions. On one occasion an AI player picked a fight with me, despite the fact that its victory hinged upon throwing greater than five on a 1D6 and me rolling less than 2 on a 1D6 saving throw. The odds were not really in the AI’s favour on that particular bout. The only other shortcoming that I can see right now, which has nothing to do with the game’s design, is that Talisman DE doesn’t quite have the critical mass of players to offer multiplayer gaming on a moment’s notice. Though my multiplayer experiences have been nothing but positive, largely due to a well-built lobby system and a classy player base, they have been something of a fishing expedition. I’ll open up a public game, set my house rules (another fun post-release feature), and wait for people to show up. Wait time for a full four-player game runs between five to ten minutes, which considering the niche market isn’t really that bad. 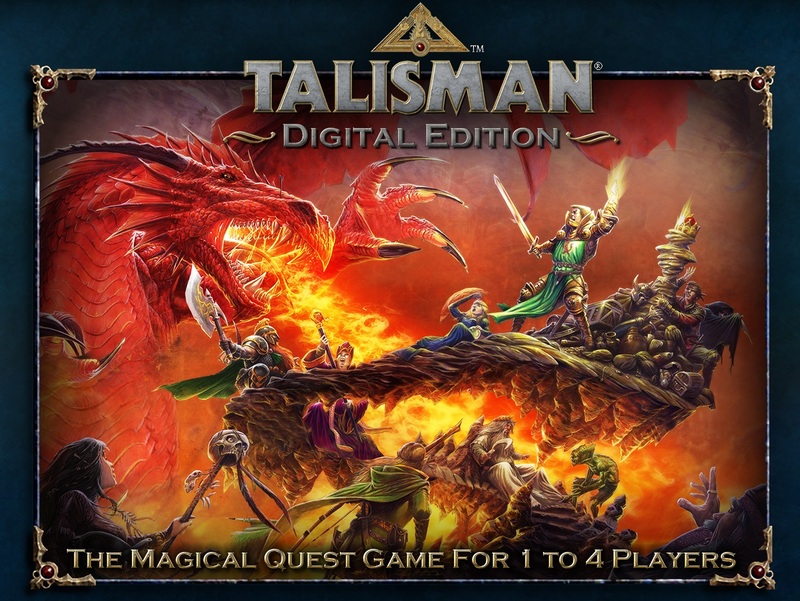 Ultimately, Talisman Digital Edition is exactly what this critic wants in a digital iteration of a tabletop game. It perfectly captures the fluid PvP meets PvE charm of the source material, streamlining nothing and only back-ending the book keeping incumbent upon an RPG in a box. 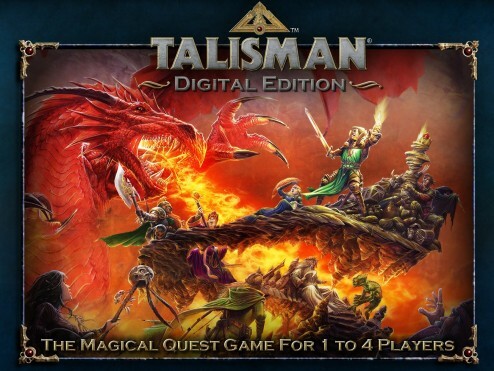 At a $14.99 USD price point, Talisman DE offers an amazing value. The $79.99 USD gold pack, which includes all future expansions, might seem pricey, but I would consider it a worthwhile alternative for a person who likes the core game and knows they will never buy a physical copy of the game. Bravo, Nomad Games. I look forward to seeing the future expansions. Talisman DE is currently available on Steam.